One of the oldest cultures in Europe and Central Asia, Georgia is a land of inspiration, diversity, and artistic mastery. It is the home of Mamuka Dideba. The art of Dideba, who is dubbed "Georgia's Bruegel", brings joy through a unique expression of the wonder, the subtle humour, and the warm and often surreal philosophical outlook that is quintessentially Georgian. A master of figurative and abstract, Dideba paints in exquisite Renaissance-era imprimatura technique that lights up the paintings from within - a process that requires enormous skill. Inspired by the Old Masters and Georgia's rich history, Dideba explores beauty through vivid characters whose unconventional forms and faces convey their essence with gentle humour. The whimsical background and clothing of the figures incorporate elements of Dideba’s abstracted works, acting as an unconscious bridge between the genres. His abstracted paintings lure deep inside their magical and irresistibly contemplative worlds through an ingenious interplay of light and colour. It is possible to “walk” for hours through their imperceptibly changing shades. Born in 1968 in Tbilisi, the capital of Georgia, Dideba studied at the prestigious Nikoladze School of Art and the Tbilisi State Art Academy. Dideba is known as “Georgia's Bruegel” because of his deviation from realistic proportions and interest in human behaviour. 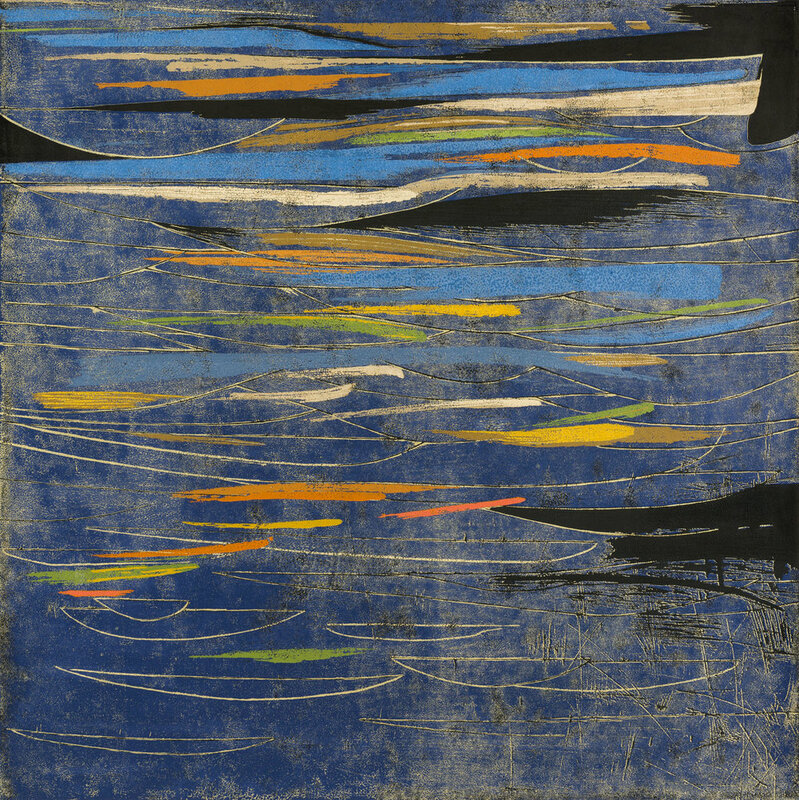 Chen Li is a master woodblock printmaker and an extraordinary painter with a unique vision and boundless originality. His joyful, dynamic, and intoxicatingly peaceful works convey the life-affirming energy of Yunnan. You are invited to the London Art Fair 2019. Find me at Stand P30, in the Art Projects area dedicated to showcasing contemporary art from across the world. Please email me for a complimentary pass to the Fair. I will be showing oil paintings and reduction woodblock prints by the extraordinary Chen Li (b. 1971, Yunnan Province, China), whose work has been acquired by the British Museum in June 2018, during his first year on the international stage, and will go on display in the Asian Galleries circa June 2019. The iconic and reclusive Georgian painter, Levan Lagidze, returns to London for the first time in 20 years with "Bach Exercises", an exhibition of new works created specifically for the show. The theme of looking deep beneath the surface and sharing experiences in harmony and gratitude, combined with a sense of playfulness, runs throughout Lagidze’s textured and vibrant work which shares through abstraction such universal narratives as landscape and urbanisation. Lagidze says that creating a composition is like “measuring eternity with careful steps”. As Nana Jorjadze, the Oscar-nominated Georgian film director, aptly described, “inside every square of Levan Lagidze's work is a separate universe”. 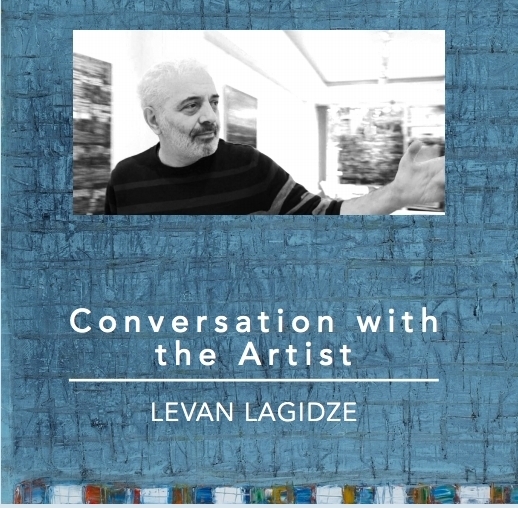 Levan Lagidze’s artworks are collected by the iconic Tretyakov Gallery in Moscow and by national museums across the former USSR countries and in the United States. Born in 1958 in Georgia’s capital, Tbilisi, Lagidze graduated from Tbilisi State Academy of Arts in 1981. He founded and led an artist’s studio at the Tbilisi Artists’ House in 1983 and served as Chairman of Georgia´s Young Artists’ Union from 1986 to 1989. In 2011, he founded the Lagidze Gallery in Tbilisi. Following the excitement from the critically acclaimed solo show of Chen Li's reduction woodblock prints, this is Chen Li's third London solo show, showcasing his extraordinary lyrical paintings. Chen Li will make a rare appearance from China for the occasion. Chen Li (b. 1971, Kunming) is an artist of vast imagination and superb range. Inspired by the spectacular landscapes and Buddhist philosophy of his native Yunnan Province, Chen Li weaves East and West into a unique visual language full of harmony, spontaneity, and a brilliant interplay of colours and textures. His poetic works are at once tranquil and dynamic, conveying a deep emotional impact and a great sense of joy. There is much more to Chinese Contemporary Art than we get to see in the West. Join us for a talk by Dr. Katie Hill about the variety of aesthetics in painting traditions that have evolved in the many regions of China since the 1980s. Dr. Katie Hill is an author and art historian who regularly writes, edits and speaks about Asian Art in collaboration with institutions such as Tate Modern and the Hayward Gallery in London. Dr. Hill is also the Program Director for the MA in Modern and Contemporary Asian Art at Sotheby's Institute in London and the Director of the Office of Contemporary Chinese Art, a consultancy that works to promote Chinese artists in the UK. The talk is part of our current solo exhibition by Chen Li, "Spirit of Landscape"
Chen Li's award-winning reduction woodblock prints bring his unique vision and abundant originality to an age-old technique, creating pure magic. Chen Li (b. 1971, Kunming) uses a rare woodblock reduction technique perfected in Yunnan. He prints all colours from a single woodblock, using thick oil-based colours that result in a mesmerising textured surface. Each step along this process destroys the previous one. Only a single edition can be printed and the process can never be repeated. Dr. Anne Farrer is an author, curator, and historian of Chinese printmaking. Dr. Farrer is currently Senior Research Fellow of the Muban Educational Trust and a Programme Director for the MA in East Asian Art at the Sotheby’s Institute of Art. She is a former Assistant Keeper of "Chinese Paintings, Prints, and the Chinese Central Asian Collections" at the British Museum where she has created major exhibitions. Her exhibitions and publications include Caves of the Thousand Buddhas: Chinese Art from the Silk Route; The Brush Dances and the Ink Sings; and Chinese Printmaking Today: Woodblock Printing in China 1980-2000. Balancing between dreams and reality, East and West, Gao Xiang (b. 1971, Kunming) examines the human spirit, felt in the timelessness of his landscapes and the imagery of animals, especially the horse. For Gao Xiang, the horse is an extension of his soul and a symbol of the universe and Chinese traditions. This is the first U.K. exhibition by the internationally acclaimed artist whose works have been shown at the Today Museum in China and commissioned by the Grand Palais in Paris. Katrine Levin Galleries invites you to a gallery tour and conversation with the internationally acclaimed Chinese contemporary artist Gao Xiang, from 12-2pm on Wednesday, 1st November. Gao Xiang (b. 1971, Kunming) has been widely exhibited and collected by museums in Asia and in Europe. This is his first show in the U.K. Inspired by Buddhist philosophy and Yunnan's stunning landscapes, Chen Li (b. 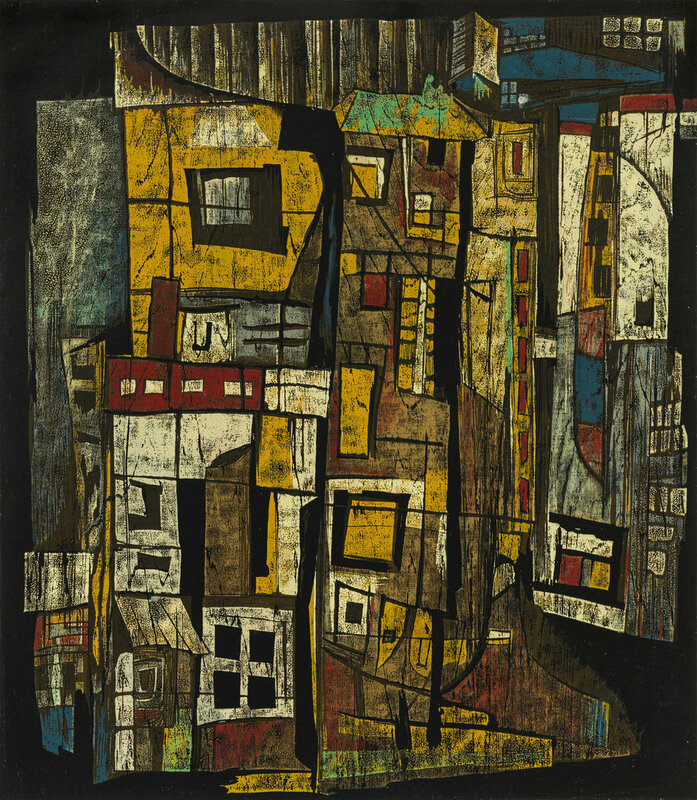 1971, Kunming) weaves a unique visual language by fusing the gestural qualities of Chinese ink painting with the colours and textures of Western oil painting. This is the first U.K. exhibition of paintings and award-winning woodblock prints this extraordinary artist from China's Yunnan Province.